Looking For a Video or resource to go with your Visiting Teaching message this month? 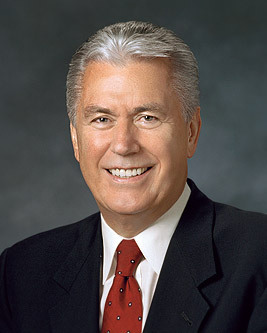 The Link below is to President Uchtdorf’s address ‘Point of Safe return’ reminding us we can all partake of the Saviour’s atonement ‘for we all fall short of his glory’. By President Dieter F. Uchtdorf From an April 2007 general conference address. President Uchtdorf teaches that because of the Atonement, we can repent and always have hope. During my training to become an airline captain, I had to learn how to navigate an airplane over long distances. Flights over huge oceans, crossing extensive deserts, and connecting continents need careful planning to ensure a safe arrival at the planned destination. Some of these nonstop flights can last up to 14 hours and cover almost 9,000 miles (14,500 km). There is an important decision point during such long flights known as the point of safe return. Up to this point the aircraft has enough fuel to turn around and return safely to the airport of departure. Having passed the point of safe return, the captain has lost this option and has to continue on. That is why this point is often referred to as the point of no return. Satan wants us to think that when we have sinned we have gone past a “point of no return”—that it is too late to change our course. The Atonement of Jesus Christ is the gift of God to His children to correct and overcome the consequences of sin. Christ came to save us. If we have taken a wrong course, the Atonement of Jesus Christ can give us the assurance that sin is not a point of no return. A safe return is possible if we will follow God’s plan for our salvation. Wherever you find yourselves on this journey through life, whatever trials you may face, there is always a point of safe return; there is always hope. You are the captain of your life, and God has prepared a plan to bring you safely back to Him, to your divine destination. The gift of the Atonement of Jesus Christ provides us at all times and at all places with the blessings of repentance and forgiveness. Because of this gift, the opportunity to make a safe return from the disastrous course of sin is available to all of us. Happiness in this life and eternal joy in a life to come will be our reward if we choose to accept and apply this gift of our Heavenly Father. Every time you repent and take the sacrament, you are as clean as you were on the day you were baptized and confirmed. During the sacrament, think of how Jesus loves you and made it possible for you to repent and be happy. Think of a time when you did something you knew was wrong. What does Heavenly Father want you to do when this happens? Why is it so important to repent as soon as you realize you have done something wrong? How does keeping the commandments help you follow Heavenly Father’s plan for your salvation? What are some ways that obedience keeps you safe?